have you ever played correspondence chess? Welcome to the section of Chess jokes! Chess is a complicated game according to clear calculations made by Shannon. Because of that the 64 squared board and the events around it produce great humor. Here is a classical chess joke. Two chess players are playing a correspondence game. White lives at the South Pole and Black lives at the North Pole. The postal service is rather slow and play proceeds at the rate of one move per year. After 15 years of play, white makes a daring queen sacrifice, the consequences of which are by no means clear. A year later, as he sees the postman returning, he is very excited. 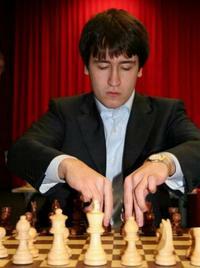 White’s thoughts are rushing, “Will black take my queen?”, “Is the sacrifice sound?”, “Is there enough compensation?”. He tears open the reply and sees “Jadoube“. As Chessdom is completely new, we will also have to say “Jadoube” until we collect more chess jokes to publish. Until then we will be happy if you send us your jokes, no matter if you live on the North or the South Pole.